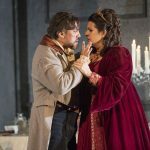 Verdi’s La Traviata has long been a firm favourite with Opera lovers all over the world, and rightly so. Set in the glamourous and atmospheric Paris of the mid 19th century, this is a tear jerking story of thwarted love, the call of duty and untimely death, with a haunting score thrown in. The music is recognisable to opera buffs and opera novices alike. Alfredo is the son of a wealthy family and has fallen head over heels in love with the courtesan, Violetta. They move to the countryside together, blissfully in love. But then Alfredo’s father, Germont, tracks them down, he tells Violetta that she must leave his son in order to safeguard his daughter’s up coming marriage. Fearing she will soon die, Violetta agrees to Germont’s request, believing it to be in Alfredo and his sister’s best interests; she has much more integrity than those around her. Later, when Germont hears that Violetta is on her deathbed, he realises the error of his ways, and confesses all to Alfredo. But is it too late? The WNO have two singers taking the role of Violetta in this touring production. At the performance in Bristol Violetta was sung movingly by Linda Richardson and Kang Wang was impressive as a reserved Alfredo. 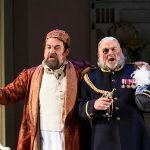 This is a great production with wonderful singing, sumptuous costumes, great lighting, an understated opulent set and sympathetic and beautiful choreography, not to mention the amazing orchestra. 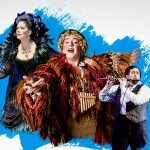 This is for young and old alike and if opera is new to you, don’t be put off; this performance would be a delightful introduction to the genre. 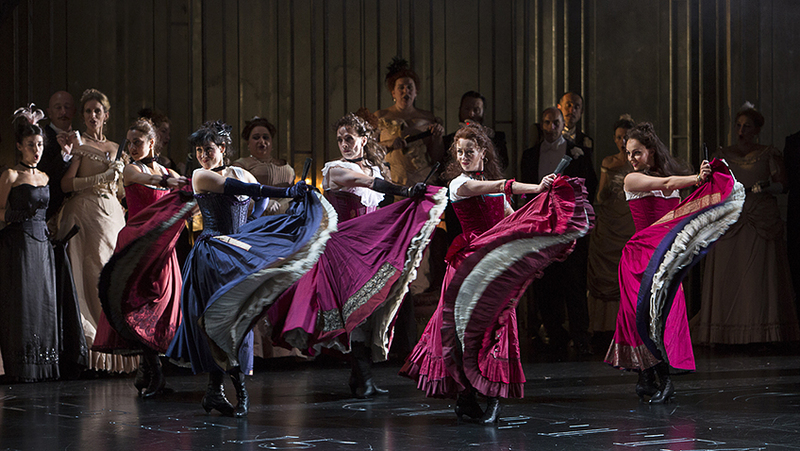 La Traviata is on at the Bristol Hippodrome until Saturday 27th October and then on tour.